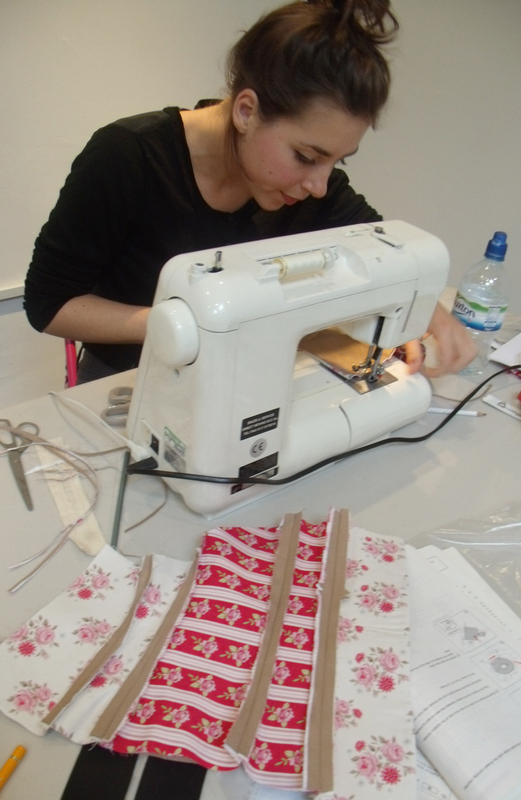 It takes some sorting out before embarking on the mammoth task of sewing the whole lot together; we do say that the makers need to be used to using a sewing machine to participate in the course and that by the end of it they will be able to stitch straight lines perfectly and be ready to tackle any other garment making with confidence.Practice after all makes perfect. 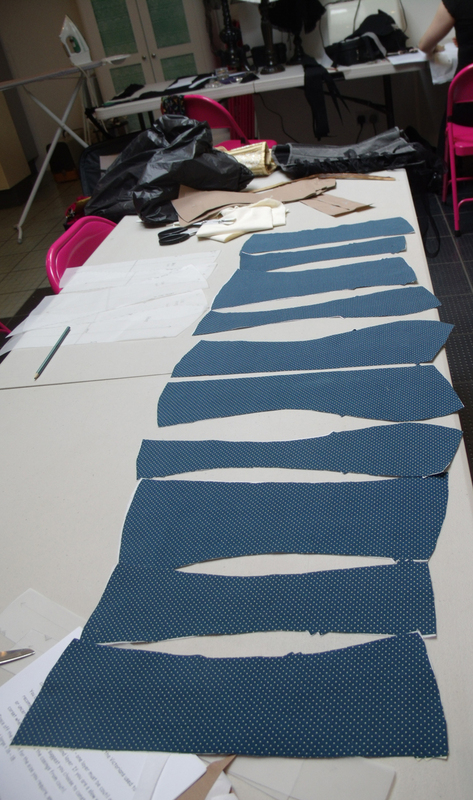 at this stage it starts to look more like engineering than dress making – and in a way I suppose that is what a corset is… a rigid structure for enforcing or reinforcing – the body into another shape. 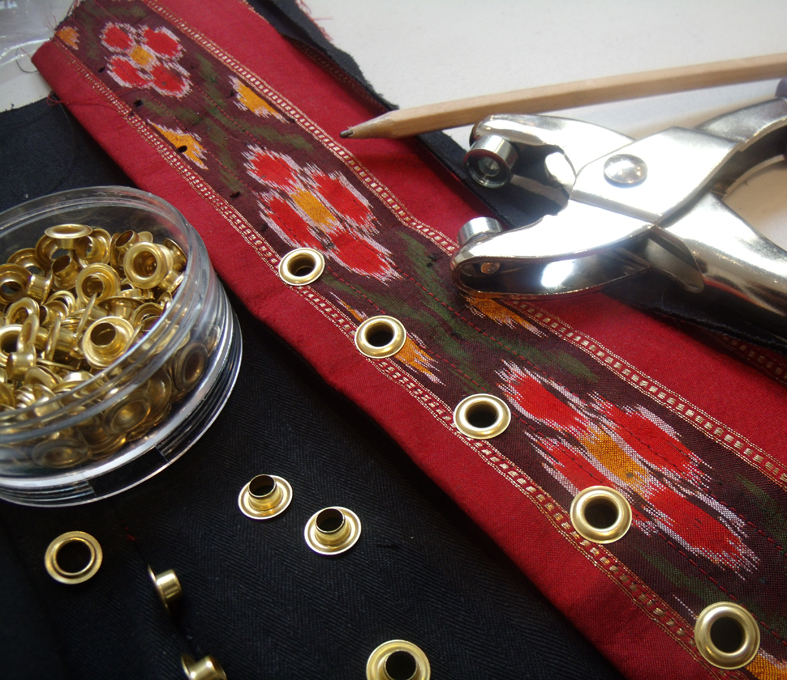 suddenly by lacing the eyelets with ribbons, we can get the garment on the body to see how it looks…but first the tight lacing…. 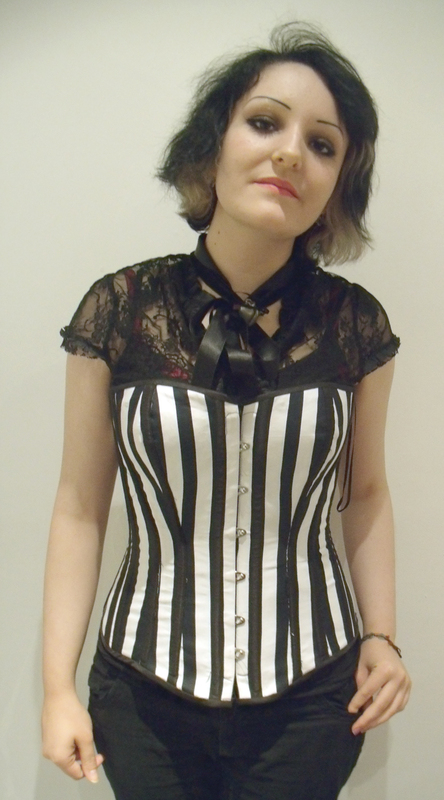 possibly my favourite picture on the whole of my blog, this is an under-bust corset, perfect for wearing over outer garments for those burlesque episodes in a modern girl's life. 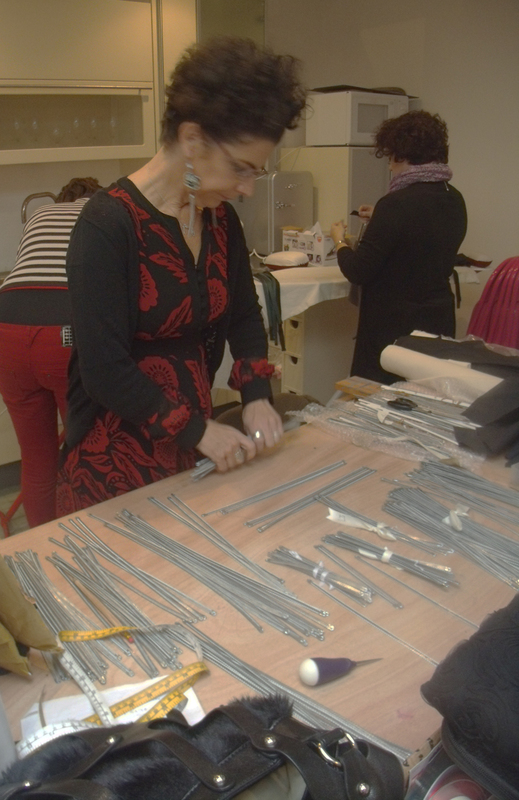 Lisa sorting out the rigid stays that will be encased into the corset. Lisa Keating, the Heart Space tutor, looks so mischievous on these pictures; but this is where all her promises are delivered. 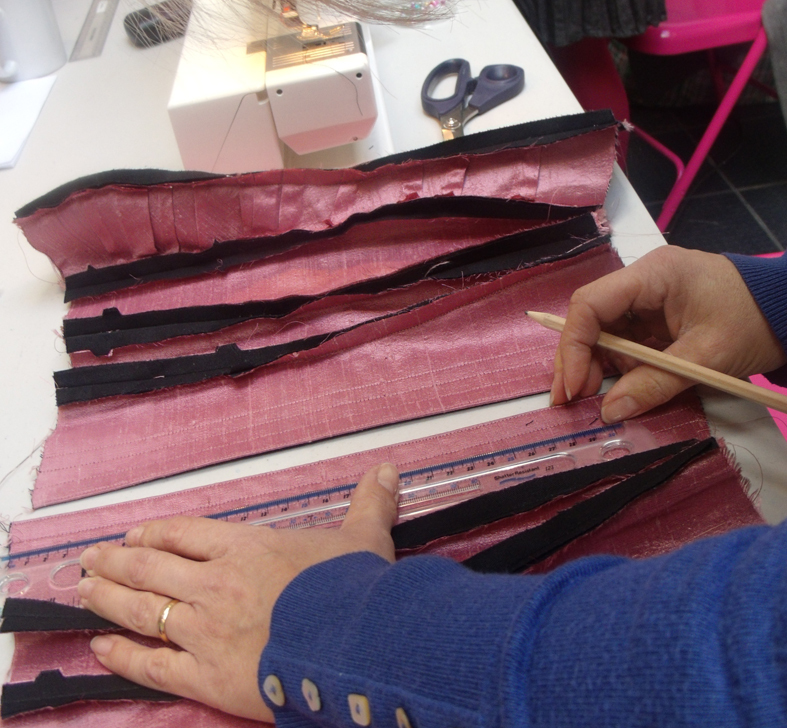 This fitting is on the second day of the course and everyone is just about stitched out, but she knows that she can get them all enthused again with this first fitting. 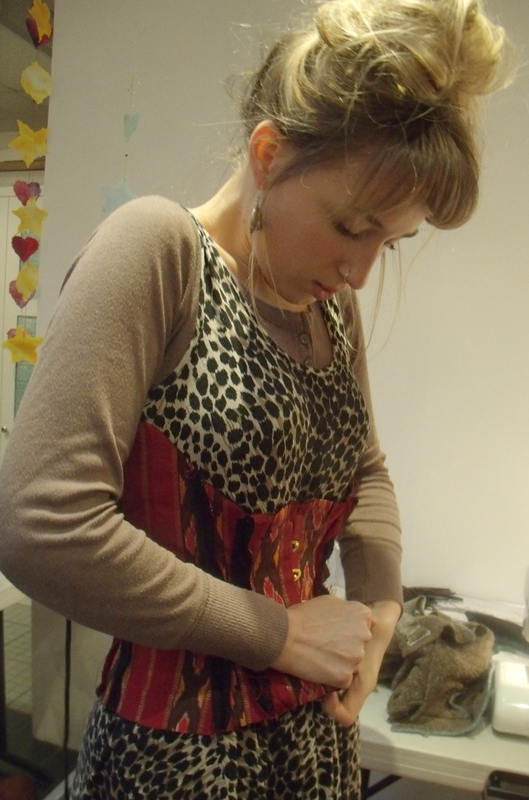 I can’t resist showing these pictures of women being laced into their corsets for the first time. This is the fantasy moment blended with the total satisfaction of making something difficult to achieve but beautiful and completely transformative in every sense of the word. 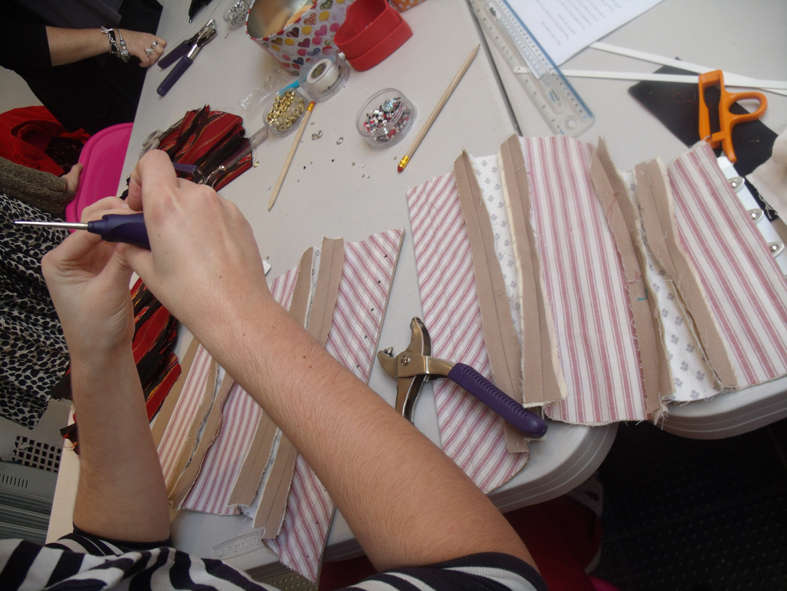 moments of self -help and introspection – did I make the right measurements? how can anyone be so small? as opposed to moments of true grit. this picture says it all - magnificent! a finished laced gold and black corset, all ready to go to the ball. Categories: Heart Space Studios | Permalink.